Here are a few books about theological aesthetics coming out in the next little while that I am looking forward to. Maybe if I list them here some kind book editor will send me a copy. 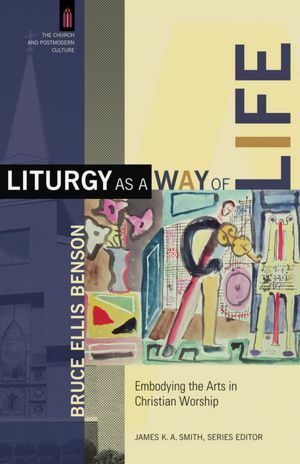 I like what I have read of Bruce Ellis Benson’s work, which brings a great awareness of jazz and roots music together with a keen theological perspective. For a smattering, here is an essay on theological improvisation from the Trinity Western Verge journal and another similarly themed one on the “call and response” of beauty and the sacred in the Princeton Theological Review. This book, which is due in early 2013, promises to develop some of these threads further and will be, in my opinion, a good companion piece to Jamie Smith’s Desiring the Kingdom and Frank Burch Brown’s Inclusive Yet Discerning as far as thinking holistically (and jazzily) about “worship.” I think Benson teaches at Wheaton, and I hope our paths cross at some point. Liturgical, sacramental, and historical, The Sacred Community is a masterful work of theological aesthetics. 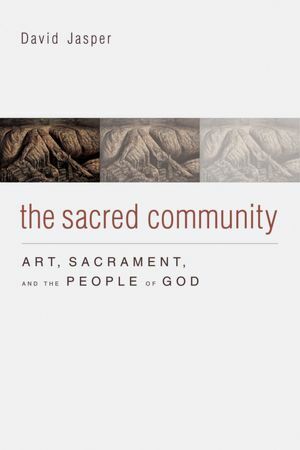 David Jasper draws upon a rich variety of texts and images from literature, art, and religious tradition to explore the liturgical community gathered around–and most fully constituted by–the moment of the Sanctus in the Eucharistic liturgy. From art and architecture to pilgrimage and politics Jasper places this community in the midst of the contemporary world. How far we have come from H.R. Rookmaaker’s exactly oppositely-named book, which saw only death and despair in modern art. Here two of my favourite evangelical art-historian types team up to re-write the Rookmaaker/Schaeffer version of art history – and the accepted “secular” version of twentieth-century art history as well. Looking forward to digging into this. The contributors to this collection read like a who’s who of “theology and art” types: Calvin Seerveld, William Dyrness, Marleen Hengelaar-Rookmaaker, and then from the younger generation people like Matthew Milliner (Wheaton) and Jim Watkins (St. Andrew’s). Worth a look!